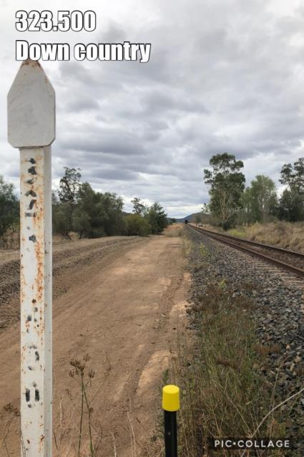 The Ulan line runs between Muswellbrook and Gulgong with the majority being constructed between 1915–1951 using no modern mechanical devices. Resulting in limited width in cuttings. It is single track which opened in 1982 to service the major coal mine at Ulan. 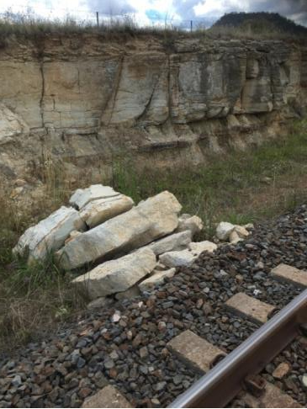 ARTC has identified the failure to provide adequate track drainage as the main reason for track formation. Maintaining a track drainage system is the most cost effective maintenance task. 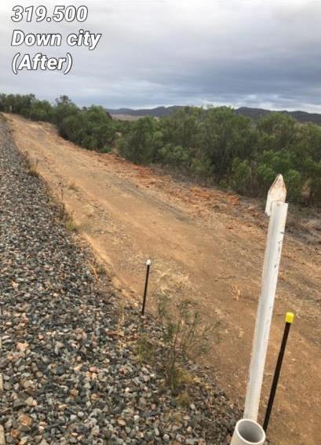 The works covered 27km’s of track between 303.600km and 363.500km. 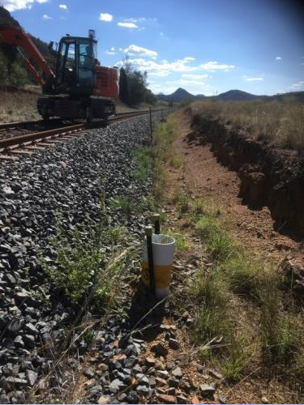 HCH commenced work Monday, 13 November 2017 with the establishment of the first temporary yard at 357.200km. Works inside the danger zone were completed during normal train running using TOA’s and LPA’s. 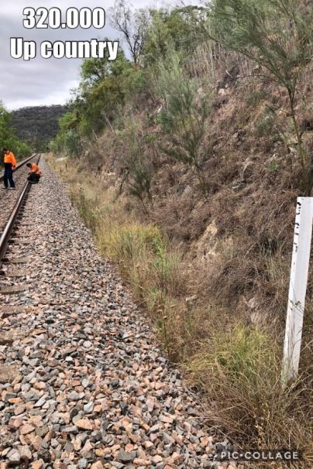 All works were completed on Friday, 23 March 2018. A total of 16 weeks on site. Each site location was accessed prior to start to determine the machinery needed to complete the task in the most effective fashion. This was based on the site access, the terrain, the current state of the drainage system and works required to complete the scope. As the work progressed it was re-accessed prioritising the scope based on available track time and production. Reception in the area is very limited requiring the Protection Officer to communicate with network control from the landline at the signal hut or with a satellite phone. Site personnel must use UHF to communicate. The mountainous terrain makes UHF service difficult and must be monitored and tested before and during works. The Ulan line has a significant number of cuttings, most are rock cuttings which where excavated by manual means. The result is a tight cutting profile with limited fall and a narrow Cess that is difficult to drain on long flat sections. High cuttings required the use of dump truck to remove spoil to stockpile then spread to cap or create access. In the majority of the worksite access roads had to be created using excavators with a fixed mulching head to clear ahead of works. Other areas could be completed with tractor and slasher followed by a grader and a roller to spread spoil removed from cess drains. Numerous bridges throughout the worksite also made access intermittent. In many instances survey markers have been located in the base of the cess drainage making it impossible to profile the drain without removal. Where possible the survey is removed and replaced. It would be far more effective for all survey to be placed above the base of the cess closer to the access road allowing free access for maintenance of the drainage system. 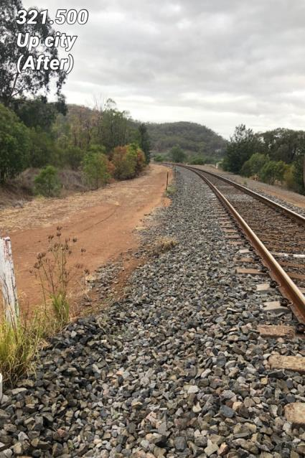 Used timber and concrete sleepers, rails, plates and fastenings are located throughout the rail corridor. These items have been imbedded in grass, trees and temporary spoil stockpiles over time. During clearing of vegetation these items are located by the plant and equipment. This limits the speed which tasks can be completed. HCH tactics to complete the drainage works “fence to fence”. The site location varies significantly throughout the worksite from relatively level ground to step embankments and narrow cuttings. A key to ensuring productivity is to have quality machinery on site. That is plant and equipment that is tried and tested, routinely maintained to ensure breakages are limited and if they do occur there is are readily available parts inventory in the country to fix the issue without delay. The site was sprayed ahead of works to allow as much vision of the ground as possible. This allows the staff to locate the best access points. Depending on the degree of vegetation, spoil or waste material present. Either a slasher, mulcher, grader or excavator would be used to “gain entry” and clear or make an access road. 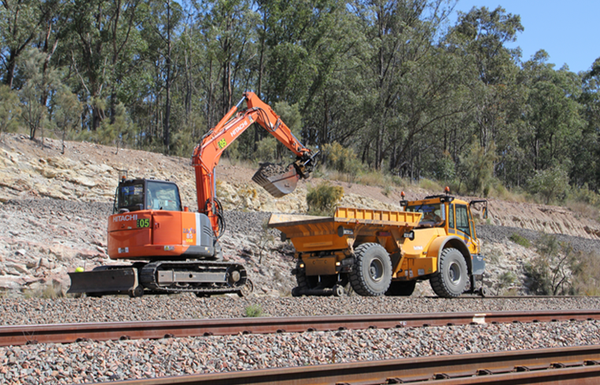 The use of a quality mid sized Hi rail excavator and Hi rail dump truck is essential for this work. All cuttings must be surveyed to determine and provide the maximum fall. 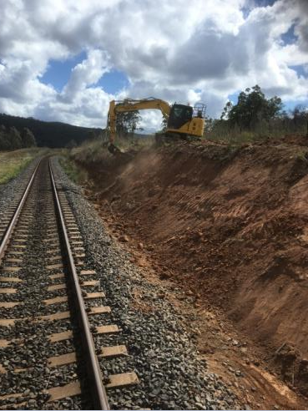 A combination of Hi rail excavator, road grader, tractor with mulcher or slashing attachments provided the most economical outcome. Each site needs to be accessed to determine the most efficient result. 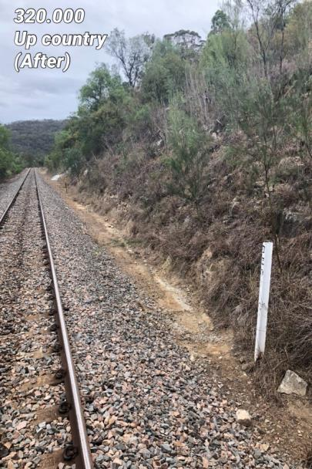 Track services constructed or installed across the cess drain required pot holing and manual excavation to locate on numerous occasions slowing productivity. 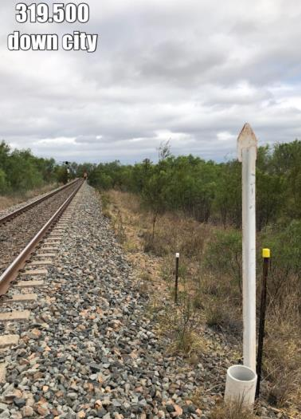 A number of level crossings required the installation of pipes and headwalls to ensure the Cess drainage would work. 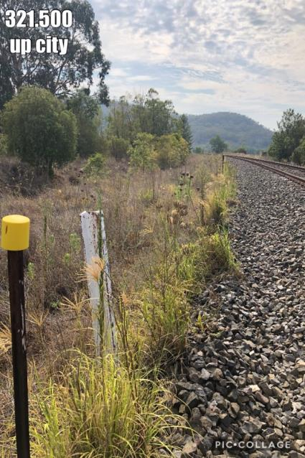 Without the installation of pipes and headwalls at these locations the level crossings would act as a blockage and stop the free flow of the cess drain. Many locations throughout the worksite required the cess drainage to be extended across the access road to ensure free drainage of the cess. This required the removal and spreading of sufficient spoil from the access road to allow a consistent fall from the cess drain to the fence. 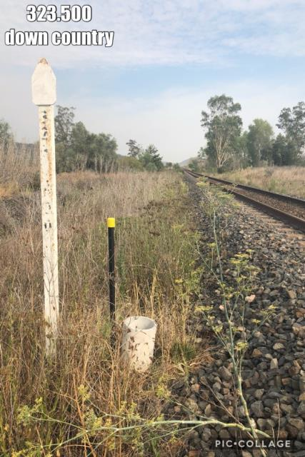 At numerous locations unregistered services have been installed by neighbouring properties to take water from one side of the railway boundary to the other. These services have generally been installed through existing culverts and across access roads, then backfilled to protect the service. This results in the access road being higher than the culverts and creating a blockage in the drainage system. During the project there were no injuries or illnesses reported, assisting HCH in achieving five years of being LTI and MTI free in November 2017. 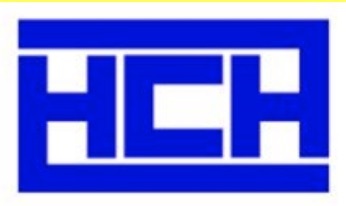 A combination of toolbox talks, pre-work briefs and safety observations were completed in line with HCH Management policy. A total of 17 Supervisor safety audits were conducted by the Project Safety Officer to ensure compliance. 35 alcohol and other drugs test were conducted randomly on workers. No positive or nonnegative results were recorded.